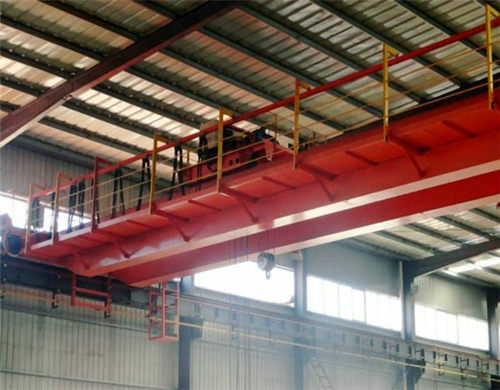 Overhead beam crane in good quality and reasonable price can be supplied in our company. 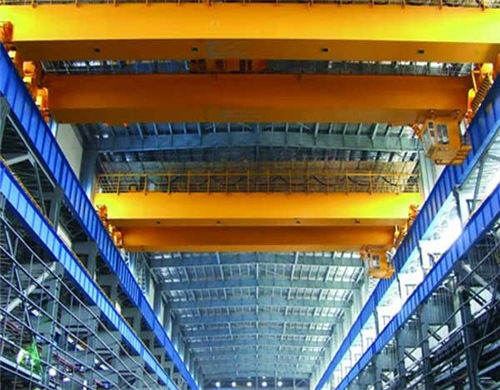 Our group is one of the most famous overhead beam crane manufacturers and suppliers in China. Overhead beam cranes in our company can be divided into single beam overhead crane and double overhead crane. What’s more, according to the overhead crane sizes, there are light duty overhead beam crane and heavy duty overhead beam crane. Overhead beam crane adopts the world advanced technology in the core kits so that our machine has long service time and stable performance. For example, the electric motor comes from German and Japan; reducer is supplied by Germany Company; the wire rope and cable are manufactured in England, German and Italy. All in all, we adopt all the components with high technologies content so that the entire machine has long service time and reliable quality. Our company is powerful and strength in the overhead beam cranes because our company has our own company. As a result, we can supply the overhead crane machine in a pretty high quality without the middleman. In the meanwhile, our company has received many certificates in the world such as the ISO certificate which is the most popular and accepted certificate in the world. We also have received European Union CE certificate, SGS certificate and certificate of registration which is necessary in China. Our company also receives many other certificates in the world, if you want to know more about it, please send an email to us with no hesitation, we will give you a reply as soon as possible. Single beam overhead cranes are a kind of light duty overhead crane that the lifting weight of the cranes is relative low than the double beam overhead cranes. 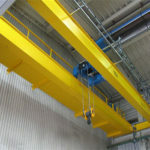 However, the single beam overhead cranes have compact structure and light dead weight in a good quality. 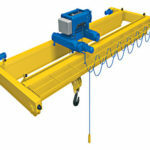 Single beam overhead crane is composed of several components: beam, end carriages, hoist, control and so on. As we all know, the single beam is more compact in the structure than the double beam cranes and the lifting weight of them is limited. End carriages can be taken place by the cement column or the wall. However, the running way must be fabricated on the cement column or the wall. 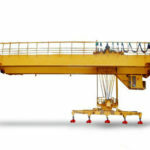 Hoist is an important part in the cranes because it is useful for the lifting activity. The cable in the hoist has good quality because it is so important to lift the goods and it should be checked regularly. The controls in the single beam overhead crane are usually wireless remote control and ground wire remote control because of the light lifting weight. 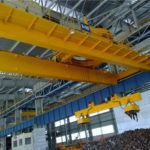 Double beam overhead cranes are supplied in our company and it is a kind of heavy duty overhead cranes which is able to lift the heavy goods in a very high weight. 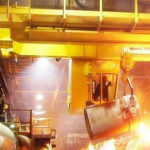 Double beam cranes always are working in the high efficiency so that more profit can be made and much time can be saved. All in all, the double beam cranes are in high working efficiency and long service time. Just similar with single beam overhead crane, double beam overhead crane consists of double beams, end carriages, electric cable hoists and so on. Unlike the single beam overhead cranes, the double beam overhead cranes often are controlled in a cab because of the heavy lifting rate and high precision. The apparent thing in the overhead crane in double beam is that the machine can be controlled in a cab. The workers must be trained professionally in order to meet the needs of lifting task safely and successfully. As mentioned above, our heavy duty overhead crane machine are in high working efficiency and long service time which can make more profit for you. The detailed parameters are listed in the following and we are sure that you can choose a ideal machine. 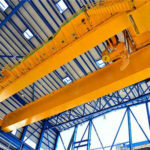 Why don’t you choose double beam overhead cranes? Firstly, the cranes with overhead beam are designed with the idea of fashion and practice. Our engineers design this kind of cranes under the direction of the actual problems so that our machine is become better and better in the development of last forty years. Secondly, our company is skilled at the manufacturing of the crane machine and more and more customers think highly of our overhead crane machine and service. On the one hand, our machine are supplied in high quality so that customers can save more cost on the maintenance and repairing and make more profit in the high working efficiency. 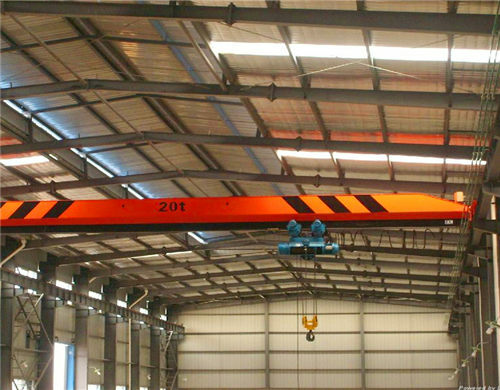 On the other hand, our overhead beam cranes can be manipulated easily and conveniently due to the remote control. 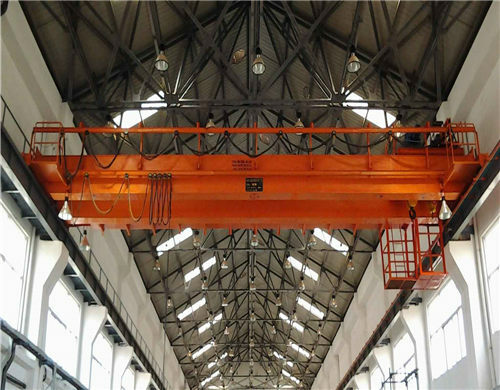 Next, overhead beam crane is popular among customers for its wide applications. It can be used in many occasions such as the warehouse, workshop, construction site and foundry site, etc. All in all, where there is a heavy good, there is overhead beam crane. It can lift and carry the extremely heavy things in high efficiency. All in all, it will make great contributions to the lifting or moving activity. Finally, overhead cranes in our company can be made according to the actual needs of customers so that the most proper machines can be supplied to you in our company. The most important element is that if you are interested in our machine, please contact us through sending an email to us and you will get a reply as soon as possible. Our company has set the professional inspectors to take responsibility for the quality of the machine so that customers always get the cranes in good quality. 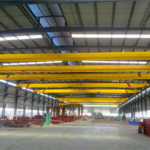 The overhead beam crane price is determined according to the factory price and our company owns factory so that you can get the best price from our company without middleman. The machines are equipped with many safety devices in order to keep the normal work of the machine and avoid the unexpected accidents. Our machine has transported into many countries and customers think highly of our company and products so that we have received many orders from them. In the end, we are glad to receive your message if you are interested in our overhead beam cranes. Our company is also able to supply the customized service so that you can tell us you special needs and we can give you a customized solution. 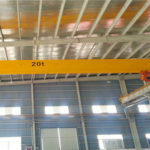 Please send an email to us if you are interested in our overhead beam crane. Just act on it!